If you cringe at the thought of spending half a day trekking Mt. Bukhansan but would still like to benefit from a great view of the city, Mt. Ansan is the perfect mountain for a casual hike. Located in the Seodaemun-gu district of Seoul, a pair of comfortable shoes is all you’ll need to shake off those winter blues and start watching for early signs of spring. Look to the base of the mountain for Ansan Jarak-gil, or “skirt road,” a path of wooden deck designed for those looking to enjoy a more leisurely walk along the peak’s gentle slopes, ideal for elderly visitors or parents with strollers. The deck-trail is only seven kilometers and length, and a complete cycle can be completed in two-and-a-half hours. Many of those fortunate enough to live in the area simply walk a portion of the Jarak-gil trail as their evening exercise. If someone in your group would prefer to tackle the summit, you can always take the dirt path to Bongsudae, the beacon mounds that were used to send military smoke signals during Joseon Dynasty (1392-1910). Hike up to the mounds early in the morning to get a great view of sunrise. EAT> The recommended eateries overlap with that of Seodaemun Prison History Hall. Near Dongnimmun Station, Exit 3, is Daesungjib (T. 02-735-4259), which has been serving doganitang, or ox knee stew, for over 60 years. DO> Bongwon-sa Temple (T. 02-392-3007) is one of the quieter Buddhist temples in the city, a fantastic place to meditate or just have a quiet break. 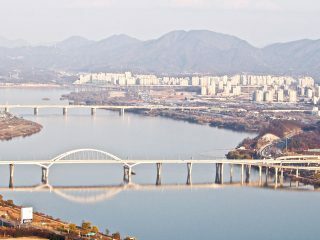 SEE> There are many observatory points around the deck trail where you can catch breathtaking views of the area’s most historically significant sites: Use your guide book map to spot Gwanghwamun, Cheong Wa Dae, the Hangang River and even the 63 Building glistening like a torch during sunset. 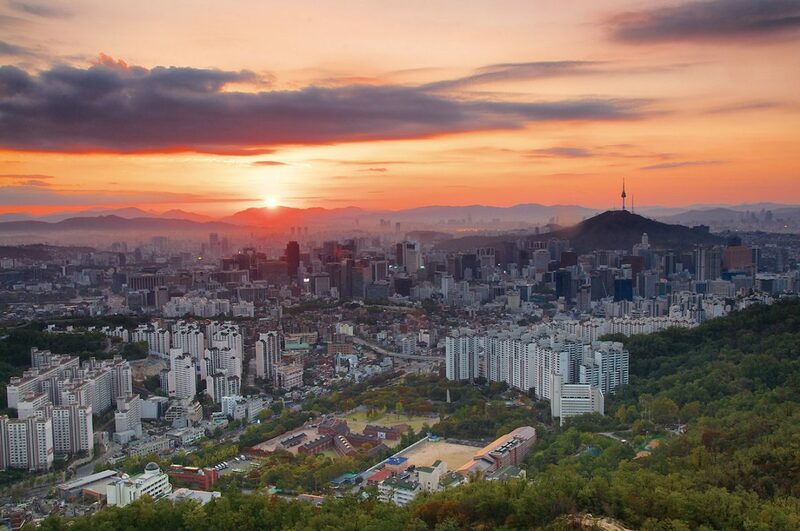 If you hike up to the Bongsudae mounds after nightfall, you can view the cityscape and catch Mt. Namsan floating like an island in the sea of distant lights. GO> The mountain has many entrance points and one of the more convenient spots is near Dongnimmun Station 독립문역 (Line 3), Exit 5. From the exit, walk through the Seodaemun Prison History Hall toward Lee Jina Memorial Library. If you hike up from the library, you will see the wooden deck trail. You can also access the mountain from Seodaemun-gu Office or Yonsei University’s Muak Dormitory. 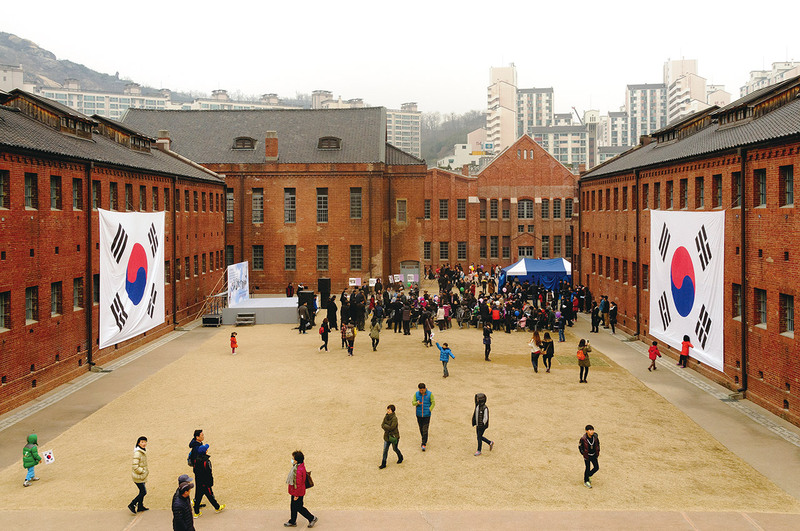 Commemorate Korea’s national holiday Samiljeol, the March 1 Movement Day, by visiting Seodaemun Prison History Hall. On March 1, 1919, Korean independent activists led a peaceful demonstration against Japanese occupation in the Jongno area. Many of those arrested in the protest were incarcerated at the Seodaemun Prison, one of which being 17-year-old Ryu Gwan-sun, who was eventually martyred on site. In 1995, the prison grounds were renovated as a museum dedicated to the martyrs of the independence movement. Comparable to Auschwitz or the Anne Frank House, the prison shows the darker side of Korean modern history, offering a humbling look into the oppression faced by an entire generation of Koreans. Guided tours in English or Japanese are available upon booking. EAT> Near the entrance of Yeongcheon Market you can pick up some classic, snack-sized donuts at Darin Kkwabaegi (달인 꽈배기) sold at four for only KRW 1,000. You also can find other fried goodness at a food stall inside the market called Mudeungsan, where you can try an assortment of fried squid, quail eggs, sesame leaves and jeons (Korean pancakes) wrapped in lettuce. DO> Directly next to the prison is another memorial, Dongnimmun Gate (T. 02-330-1121), or Independence Gate, which was modeled after France’s Arc de Triomphe. Across from Dongnimmun Gate is Yeongcheon Market, one of the smaller but less gentrified traditional markets in Seoul. Stop by the Seoul Trade Exhibition & Convention (SETEC) on March 12-15 to take part in the third Korean Temple Food Festival. Hosted by the Cultural Corps of Korean Buddhism, the festival will feature delicacies made by eleven temples especially recognized for their food offerings, as well as by monks renowned for their culinary skills. 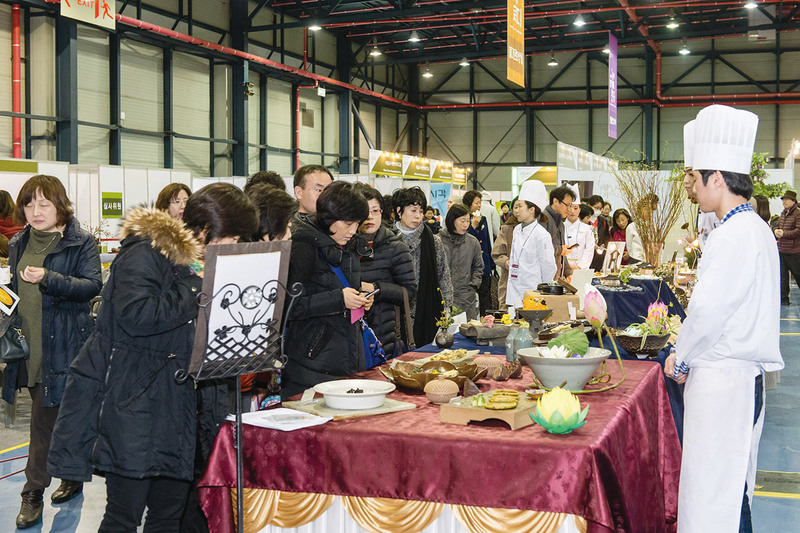 There will be a wide range of exhibits, lectures, tastings and hands-on programs where visitors can experience the unique taste and spirit of Buddhist cuisine as it has been handed down through the ages. For international participants, there will be specially prepared Buddhist meals, motion games based on Buddhist meals and webtoons about temple food. Hangnyeoul Station 학여울역 (Line 3), Exit 1. During the years of the Joseon Dynasty, Insa-dong served as the location of Dohwaseo, a national bureau of art, as well as being the home of many wealthy government officials and artists at the time. When these officials and artists were forced to move out of the area during Japanese occupation, they had no choice but to sell their property and many valuables. As a result, Insa-dong quickly turned into an alley of antique shops and galleries where Japanese officials purchased high-end artifacts from the Joseon Dynasty. Insa-dong’s proximity to Japanese Government-General of Korea also made it a base for the independence movement. Taewhaguan, now the Taewha Building, was a gathering point of the 33 patriots that started the March 1 Movement. Visiting Insa-dong with this history in mind will give you a different impression on the popular art and craft destination in Seoul. EAT> Many authentic Korean cuisines can be found among Insa-dong’s alleyways. Try doenjang bibimbap, a bibimbap with bean paste instead of the usual pepper paste, at Toenmarujip Doenjangyesul (T. 02-739-5683). If you’re a vegetarian, visit Sanchon (T. 02-735-0312, www.sanchon.com) and test out some fresh and healthy Korean temple cuisine. Warm up your body with traditional tea at Dawon (T. 02-730-6305), located within the Kyung-in Museum of Fine Art. DO> Insa-dong is the best place to shop for anything Korean and traditional, from small souvenir items to more expensive pieces of art. Ssamziegil (T. 02-1330) houses over 70 stores that sell different kinds of unique craftworks. Tong-in (www.tonginstore.com) offers more upscale pieces such as fine tea wares and jewelry, one of the premier antique craft shops in Korea. GO> Anguk Station 안국역 (Line 3), Exit 6. Walk straight about 80 meters and turn left when you see Insadong-gil. More widely known as “Seochon” (“West Village”) because of its location on the west side of Gyeongbokgung Palace, Sejong Village’s artistic lineage goes back to the Joseon era, when the area was home to middle-class intellectuals and the craft workers who supplied their wares to the palace. Many artists, musicians and famous authors brought their work to life in these houses; writer Yi Sang (1910-1937) and artist Park No-su (1927-2013) lived in the area. Because of its proximity to Cheong Wa Dae, Korea’s presidential palace, development was highly restricted for decades, and it’s only been in the past 20 years that outsiders were able to roam its alleyways freely. 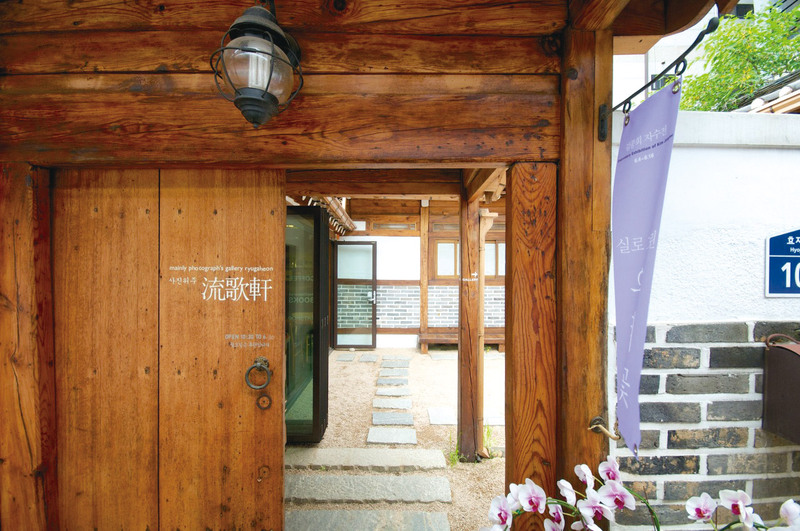 Many local residents have kept the same neighbors for large portions of their lives, adding to the area’s historic charm, and the narrow and crooked roads have slowed the hand of progress to the extent that most hanok are well-preserved and in their original form. Privately owned café, galleries and boutique shops are dispersed around the neighborhood, standing in stark contrast to the tall, shiny buildings of Gwanghwamun; it’s hard to spot a building that reaches higher than three floors in the village. 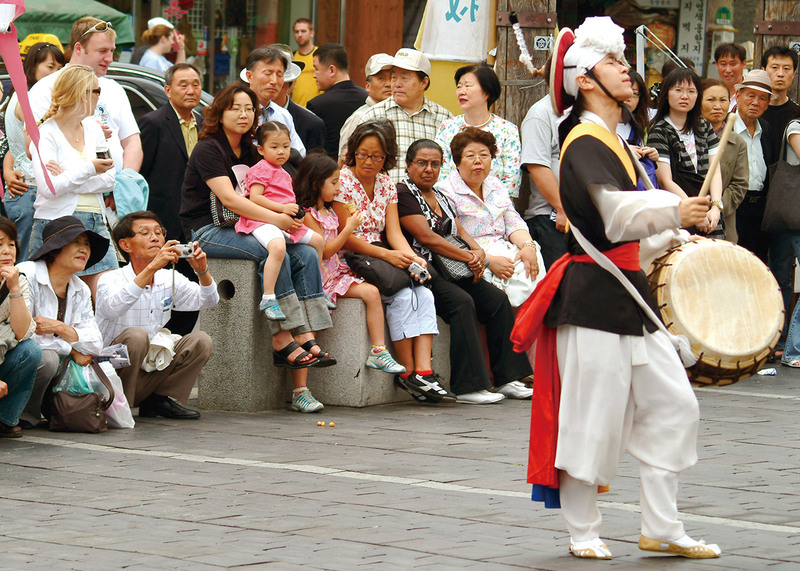 In any case, Sejong Village is growing in popularity for its unique, quaint ambiance. Life’s frenetic pace is known to lesson for those who step away from Seoul’s busy crowds and explore Sejong’s picturesque lanes and quiet backstreets. EAT> Sejong Village rose to popularity when Tongin Traditional Market (tonginmarket.co.kr) started the dosirak program, or lunch food takeout system. Try their gireum tteokbokki, a stirred fried rice cake dish that is crispier than the usual tteokbokki. Hyoja Bakery (T. 02-736-7629) has been supplying their bread to Cheong Wa Dae for more than 20 years, and it’s no surprise that long lines regularly form outside for the bakery’s fresh bread. There are also many smaller eateries that carry Western cuisine, such as My Beautiful Laundrette (T. 070-8877-8075), a cozy restaurant that carries French home cooking. DO> Once you’ve finished having lunch at one of the stalls at Tongin Traditional Market, head further into the village toward the entrance to Mt. Inwang, where Suseong-dong Valley is located. Amid the crags of the peaceful valley is a small park that serves as a great place to take a break from all the walking. Be sure to stop by the Art Museum of Park No-su, an institution that has been registered as Seoul City Cultural Heritage Material No. 1. For those with more contemporary tastes, the Daelim Museum (www.daelimmuseum.org) will be displaying photo works from the late Linda McCartney during the month of March. GO> Gyeongbokgung Station 경복궁역 (Line 3), Exit 2. Walk straight for about 200 meters before turning into the alleyway on the left. Once you pass the café Nature’s Way you’ll be in the village in no time.